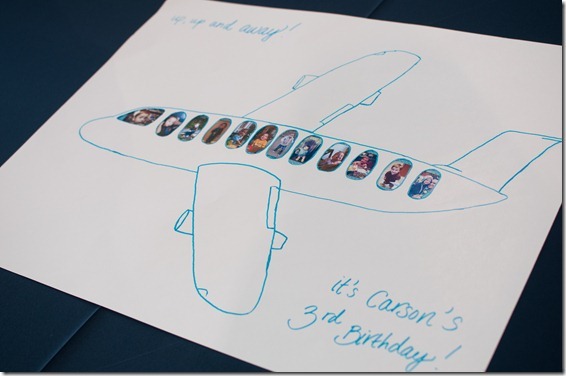 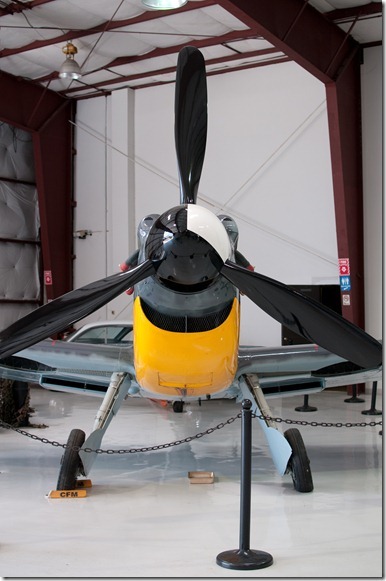 Up, Up, And Away–It’s Carson’s Third Birthday! 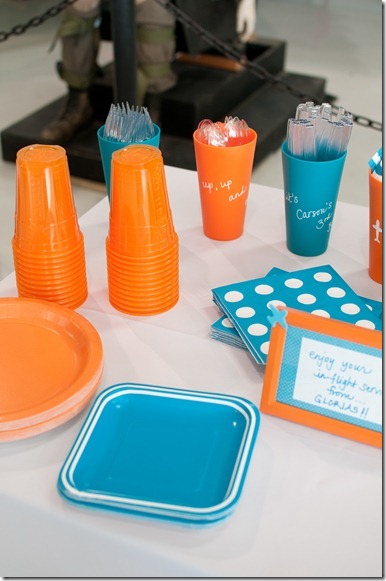 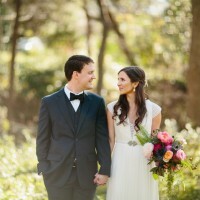 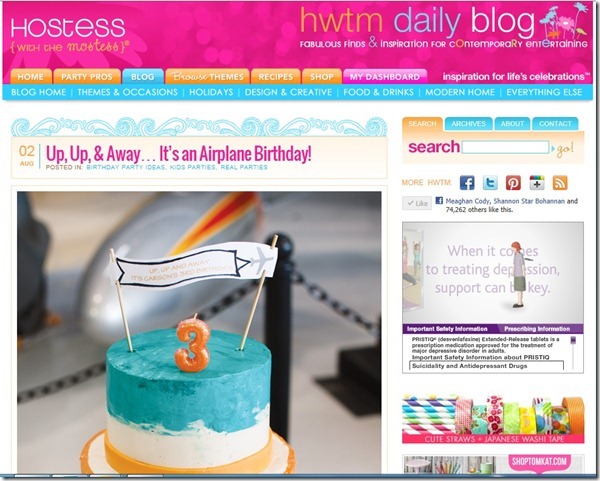 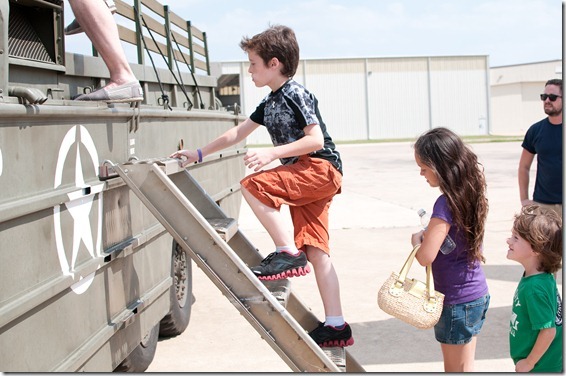 We are super excited that we were featured on Hostess With The Mostess this past weekend. 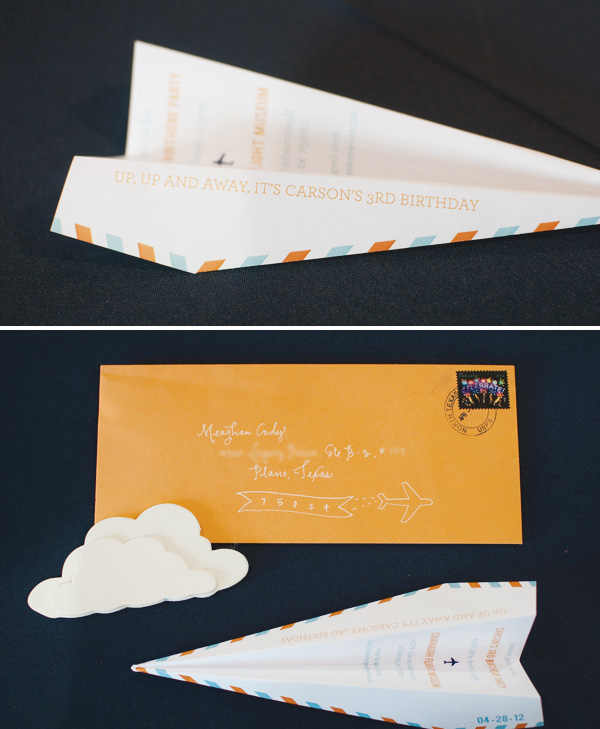 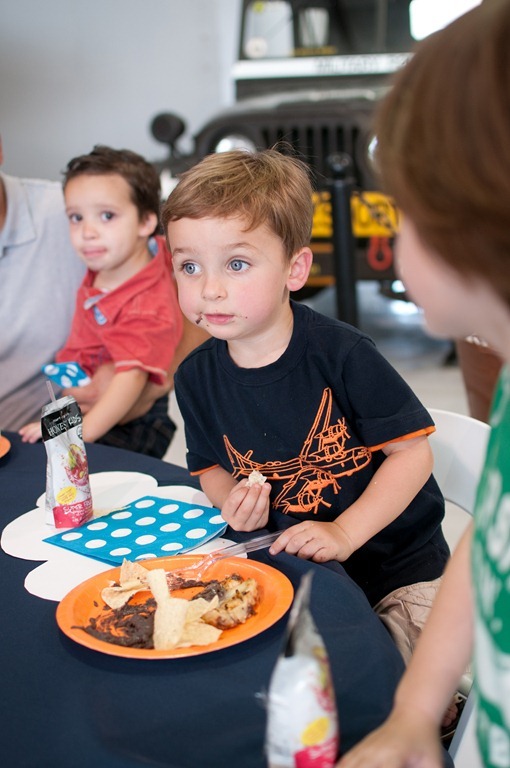 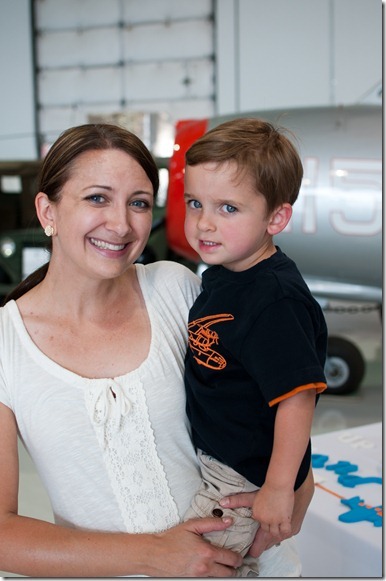 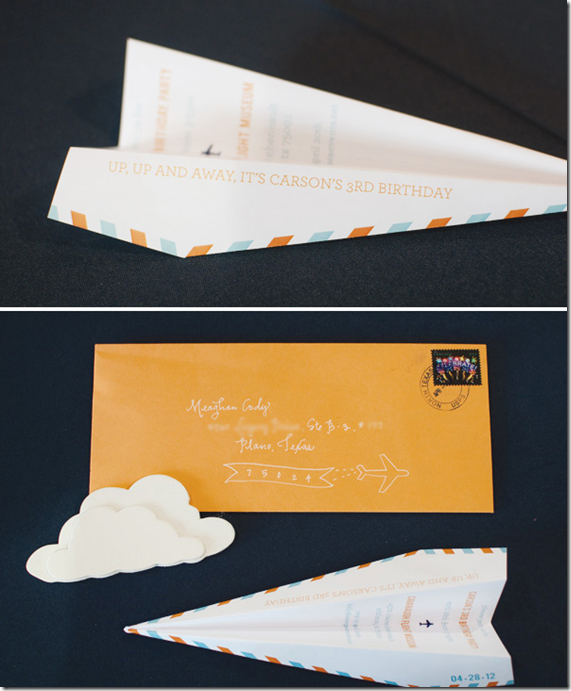 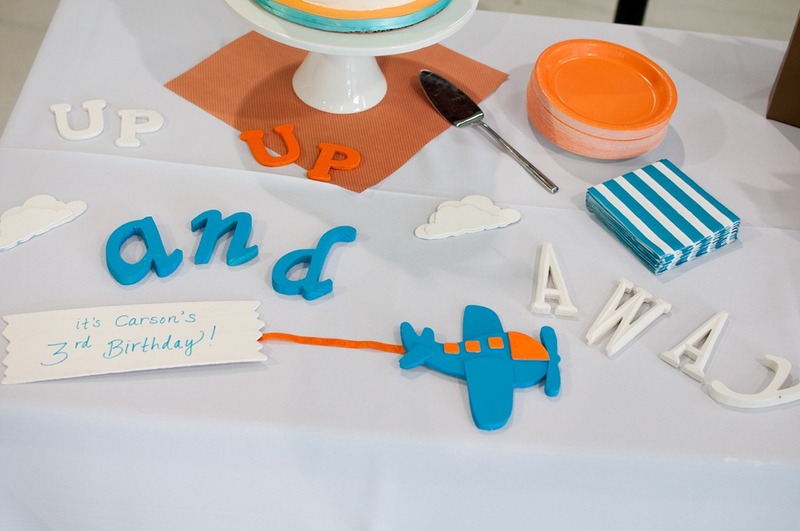 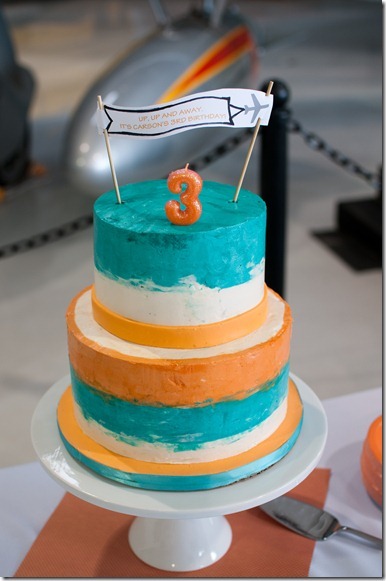 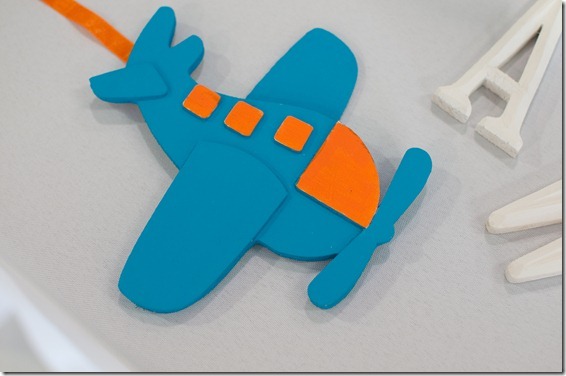 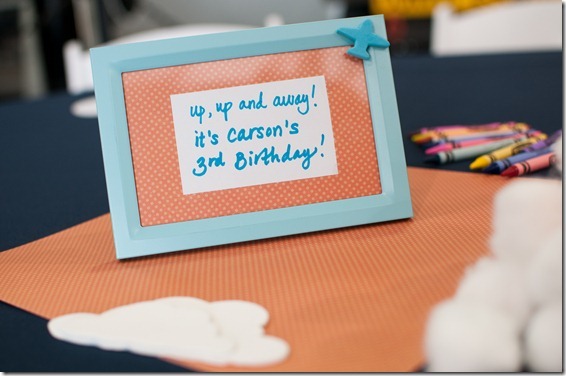 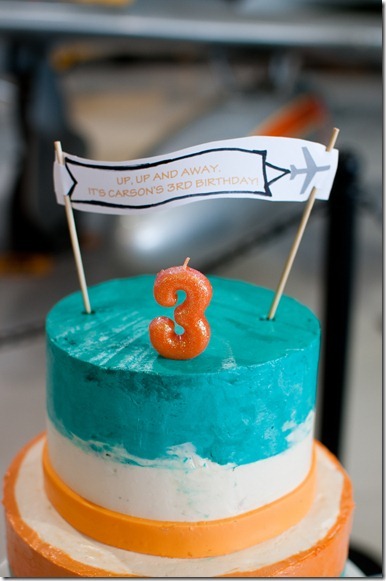 Kelly Simants of Sweet Pea Events planned her son’s third birthday party with the theme “Up, Up, and Away – It’s Carson’s Third Birthday”! 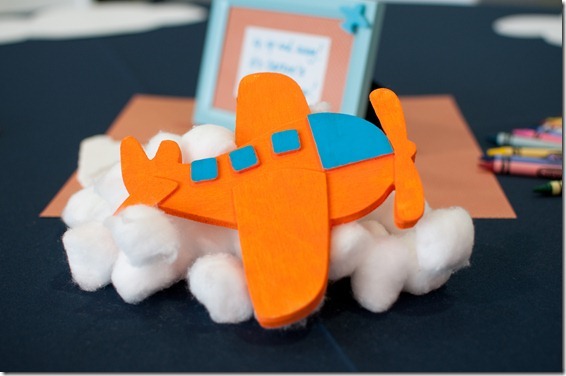 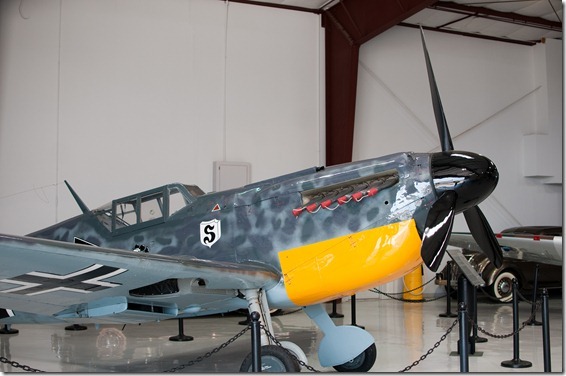 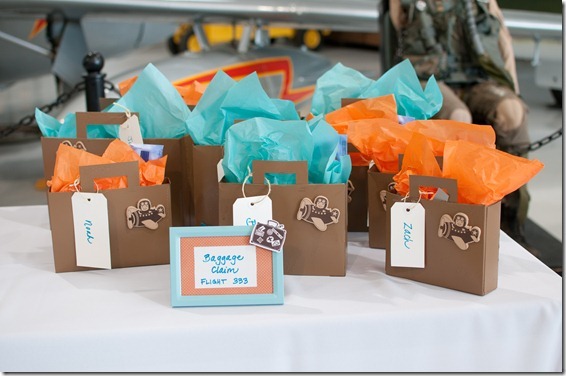 Centerpieces were cotton balls for clouds, painted wooden airplanes, and a drawing of an airplane with pictures of Carson for every month between ages 2 and 3. 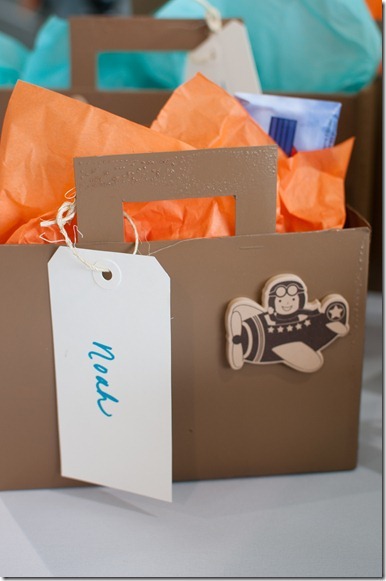 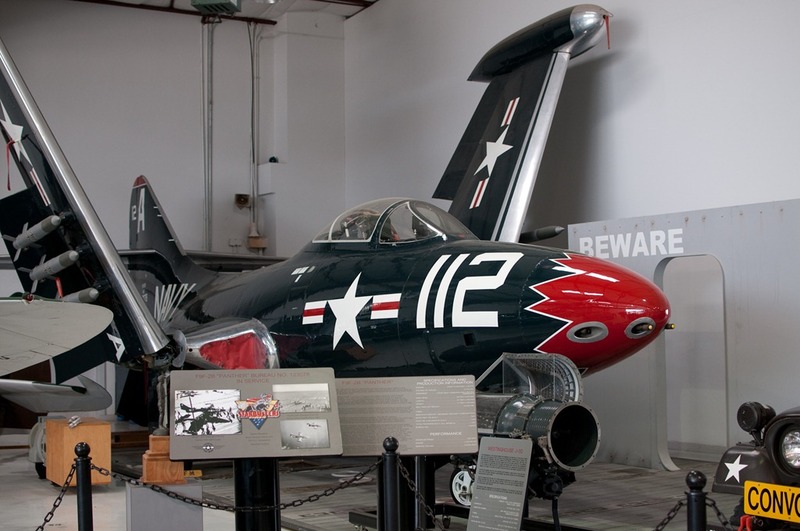 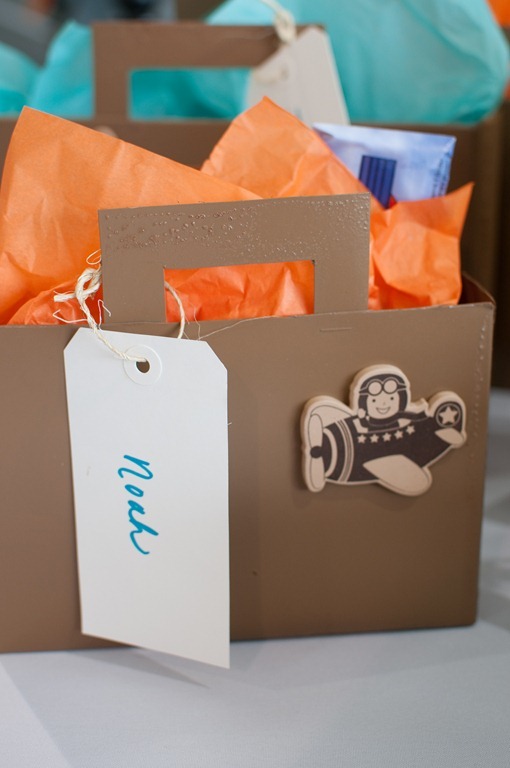 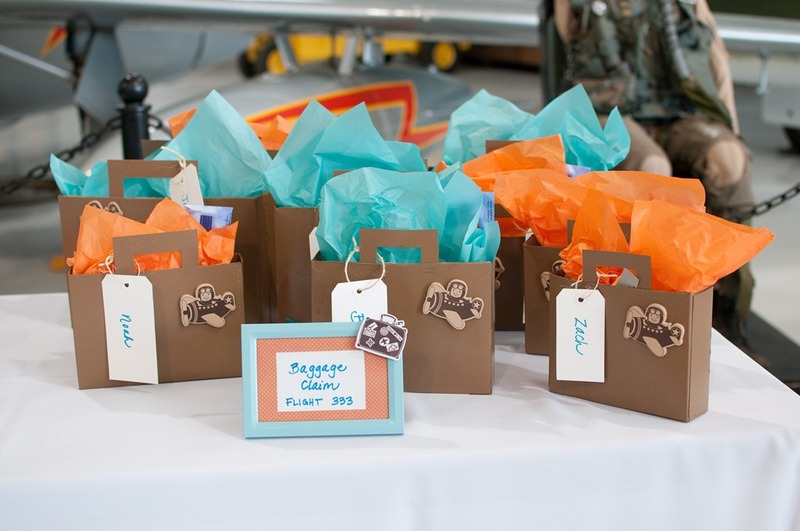 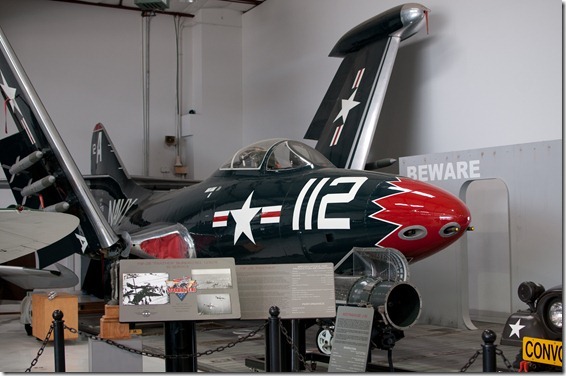 For favors, Kelly spray painted cereal boxes and made small suitcases out of them, filling them with glider airplanes and other fun goodies. 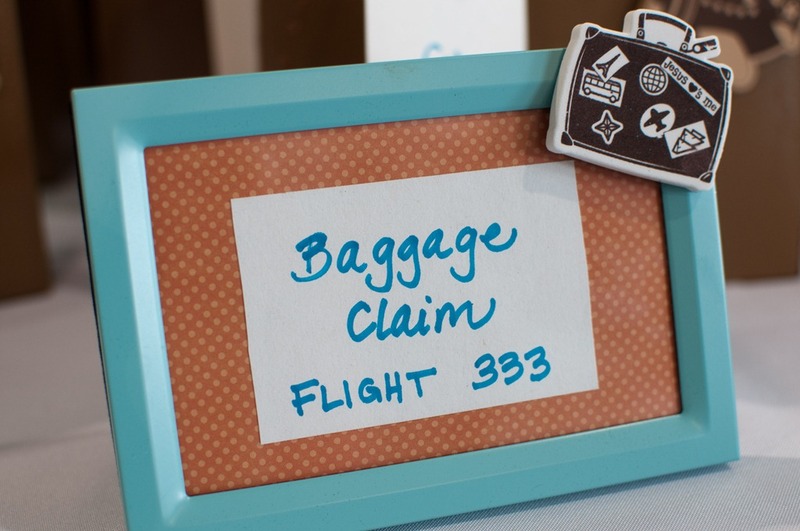 These suitcases were placed in “Baggage Claim”. The cake was an ombre design which incorporated the blue and orange from the invites and other décor, with a cute custom banner on top.